Since school started police have confiscated more than a half dozen guns on Clark County School District school campuses. This week, a student was shot and killed near Canyon Springs High School . On Saturday, youth activists spoke out on the impact of gun violence on students and told 13 Action News how they plan on addressing the issue. They unveiled a statue called "Last Lockdown." It has gun violence statistics written on it and it's supposed to remind the community of the danger students are facing in school until we fix the problem. Organizer Kaitlyn Willoughby explains, "The statue represents the fear that students have hiding under the desk - either on a lockdown drill or in an actual school shooting. It represents fear." After a number of gun related incidents on campus this school year, some students in the valley say that fear has hit close to home. March For Our Lives youth activists and several other organizations are calling on the community to help address the issue with gun violence. They're asking you to come out and vote. They will do phone banks, go door to door. You'll also see them outside your grocery stores -- encouraging people to go to the polls this upcoming election. They say they want candidates who would push for universal background checks and annual mental health checks. Their goal -- keep guns away from campuses through the power of one vote. Nyssa Silva is a student at Green Valley High School -- one of the schools where police found and confiscated a gun on campus. She say, "This is an issue that can affect anyone no matter what neighborhood you live in... Your vote is what's going to help change the future of America." Youth activists will hold multiple events leading to the polls. 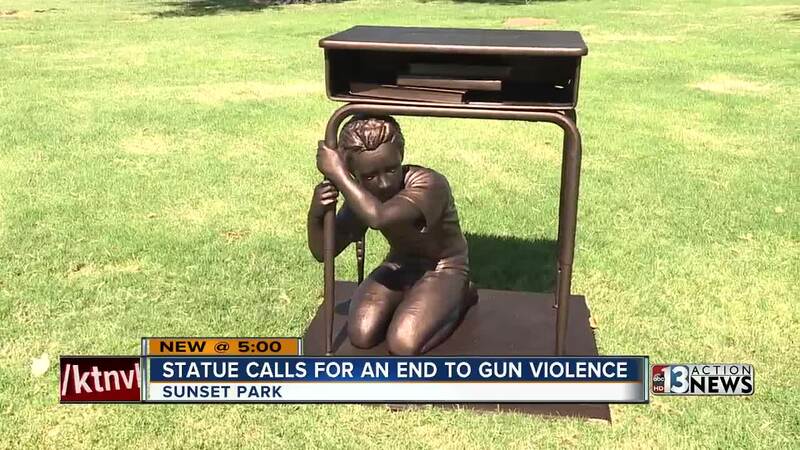 On Tuesday, they'll bring the "Last Lockdown" statue to Canyon Springs High School where students will stage a walkout against gun violence and encourage people to vote.